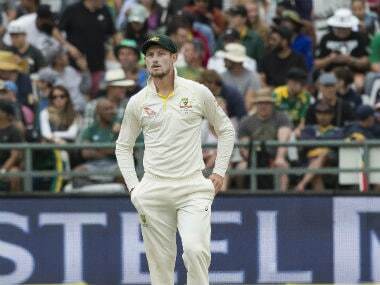 Sydney: Australia have been further weakened for next month's one-day international series in England following the withdrawal of leading paceman Josh Hazlewood, Cricket Australia said on Monday. Hazlewood, who was the most experienced fast bowler in the one-day squad after injuries to Mitchell Starc and Pat Cummins, has been replaced by uncapped Michael Neser. 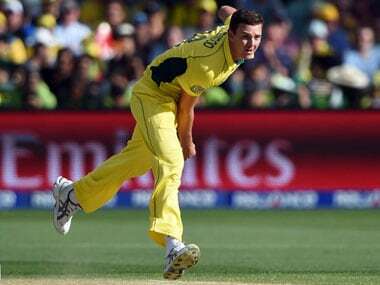 Hazlewood was ruled out of the touring party with back trouble. "Josh has been managing some low-level bone stress in his lumbar spine for a short period," CA physiotherapist David Beakley said in a statement. "He had a repeat scan today and although it has not progressed to a fracture he is starting to experience some lower back pain. "As such, we are taking a conservative approach and he will not travel to England for the one-day series." Neser was a key player in Queensland's Sheffield Shield title earlier this year and has earned a reputation as a skilful swing bowler on the domestic scene. The right-armer has 41 List A wickets at 36.60 and was the Bulls' leading wicket-taker in last summer's domestic one-day Cup. Neser will link up with the squad, who were set to fly out late Monday, in England on Tuesday. 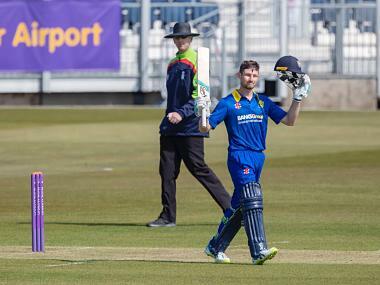 The right-armer has an impeccable international 50-over record, with 69 wickets at 24 from 41 games and shapes as a key member of Australia's side for next year's World Cup in England and Wales. Hazlewood's absence means Australia will be without all three of their Ashes-winning fast-bowling attack for the five-match series against the world's number one ranked ODI side. Also absent are batsmen Steve Smith and David Warner, who are currently serving bans for their roles in the Cape Town ball-tampering scandal, along with injured all-rounder Mitch Marsh. Of the specialist quicks in the one-day squad, only Kane Richardson (15 games) has played more than five ODIs. Andrew Tye (four ODIs) Jhye Richardson (one) and Billy Stanlake (two) are the other fast bowlers in the touring party.